Biography & Genealogy: Born in Bridgewater, Virginia on December 5, 1890. Matriculated on September 3, 1913 from Portsmouth, VA. and graduated in 1917. Commissioned in the Coast Artillery Corps in 1917. 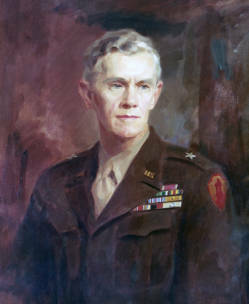 Commandant of VMI 1946-1951. Retired from Army in December 1950. Died March 17, 1962, buried Arlington National Cemetery.